Team Leader Sara tells us what it’s like to be a part of the School Holiday Program family. Socialising has always been a core element of our supports program. For some children, making friends can be difficult and they lack confidence to express themselves. That’s why our team take their role very seriously. We offer support, encouragement, and also act as role models who exhibit positive interactions. This helps our participants get used to new people and experiences. Every morning we had a ‘morning circle’ where we went through the schedule and introduced each person. We also sang the ‘Hello Song’ where we took turns to greet each other. I felt that this helped break the ice and create a welcoming and respectful environment. It’s lovely to see the children come out of their shells with each passing day. With encouragement they started to try things they wouldn’t usually do. 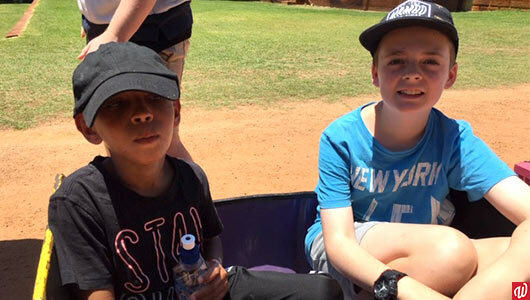 Many made friendships with the others and look forward to seeing them again at the next SHP. Thanks everyone for your feedback – your suggestions help us build a better, more diverse program! Not long now until the April school holidays! If you’re interested, make sure to contact Bithika Kastha at (08) 9445 6552.